You ever feel like you don't want any meat? I get that feeling sometimes and this is a great dish if you do not want to be a carnivore for a day. This is an easy dish to serve on the weekdays because all you have to do is mix a few ingredients together and then bake! Easy, easy, easy! 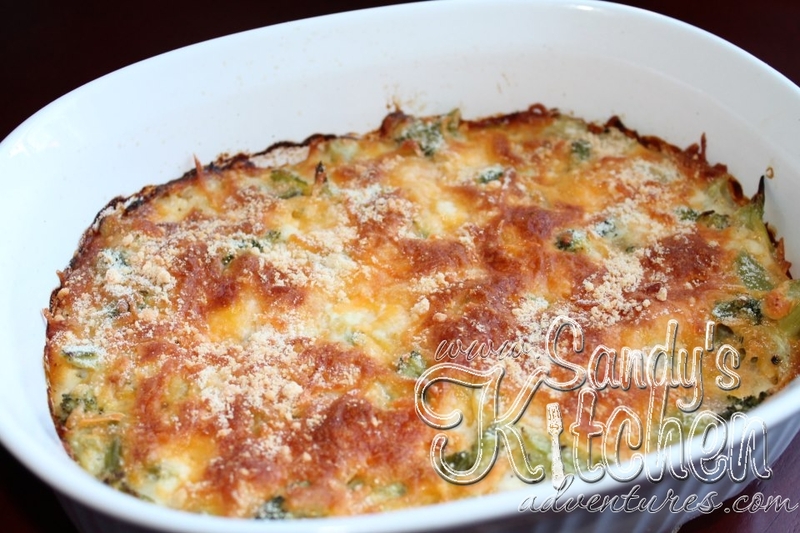 Not to mention this is awesome comfort food that I think anyone in the family would love! Enjoy! Preheat oven to 350 degrees. Combine all ingredients in a bowl except parmesan cheese and shredded cheddar cheese. Pour into a casserole dish sprayed with non stick cooking spray. Bake for 40 min. Sprinkle cheddar cheese and parmesan cheese on top. Bake an additional 20 minutes.